Home We Podcast & We Know Things Episode 114 – Super Smash Bros Ultimate Direct + a New Attack On Titan Film?! 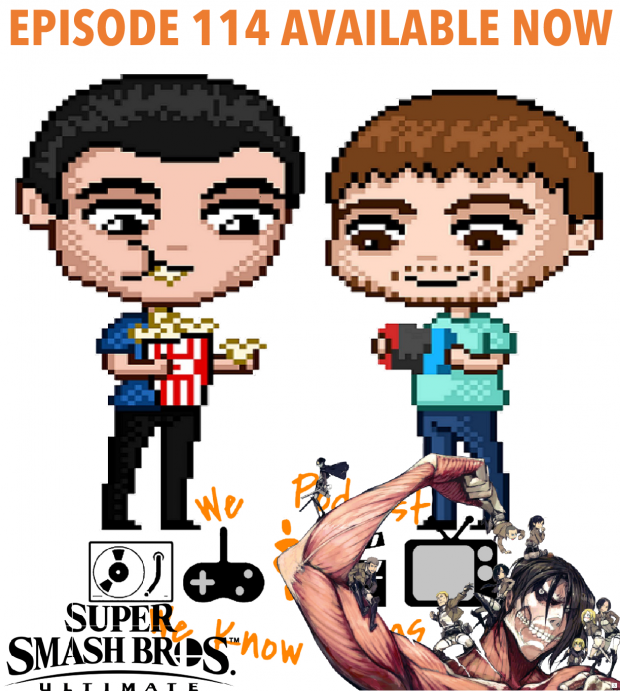 We Podcast & We Know Things Episode 114 – Super Smash Bros Ultimate Direct + a New Attack On Titan Film?! This week, Greg & Sam break down the entire final Super Smash Bros Ultimate Direct, including the final roster of fighters! The PS1 Classic had all 20 of its games announced; do we still think it is worth it? Andy Muschietti will be directing a new live-action Attack on Titan film for North America & two more Marvel heroes are getting a spinoff series on DisneyPlay. We also hype up a super fun interview we had with the amazing dudes in Origami Crane; that BONUS EPISODE will be dropping on Monday 11/5/18.